Episode 127: Captain America Reborn? Chase is back home, so the Showcase boys assemble at the Secret Lair to record a new batch of episodes! This week, the Star-Spangled Avenger is being “reborn,” so it’s time to take another look at the mythos of Captain America! The guys discuss the history of the charcter, the current Ed Brubaker run, and the future of the men wearing the stars and stripes. In the picks, Mike chooses Irredeemable #4, Blake goes with the obvious and picks Green Lantern #43, and Chase sticks to theme with Captain America #600. This week’s Graphic Novel Pick: Fables Vol. 8: Wolves. 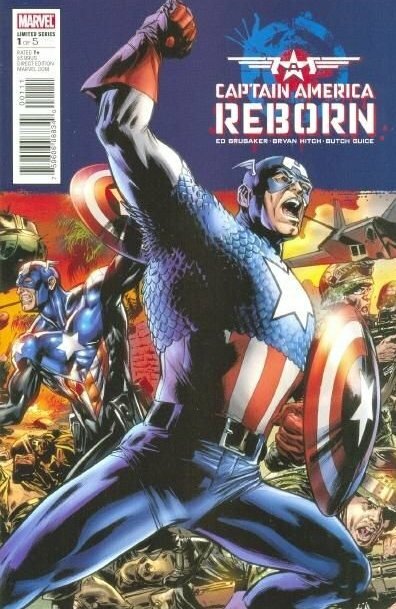 This entry was posted in Showcase Podcast and tagged Captain America, Captain America Reborn, Ed Brubaker, Fables, Green Lantern, Irredeemable. Bookmark the permalink.